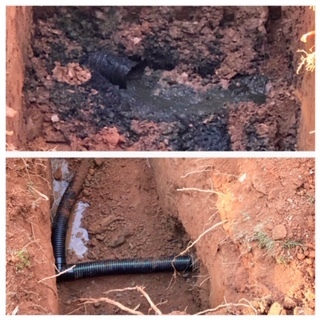 In Peachtree Corners, Action Septic Tank Service fixed a blocked drainfield and performed a crossover repair. A drainfield line was broken and caused the system to backup. We tied an unharmed section of the wet line into a dry line to get the water properly flowing again. Septic and drainfield failures are often caused by poor maintenance, tree root intrusion, organic matter in the effluent, overly saturated soil, parking and driving vehicles and heavy machinery over the septic system, cracked pipes, and improper septic design, location and installation. 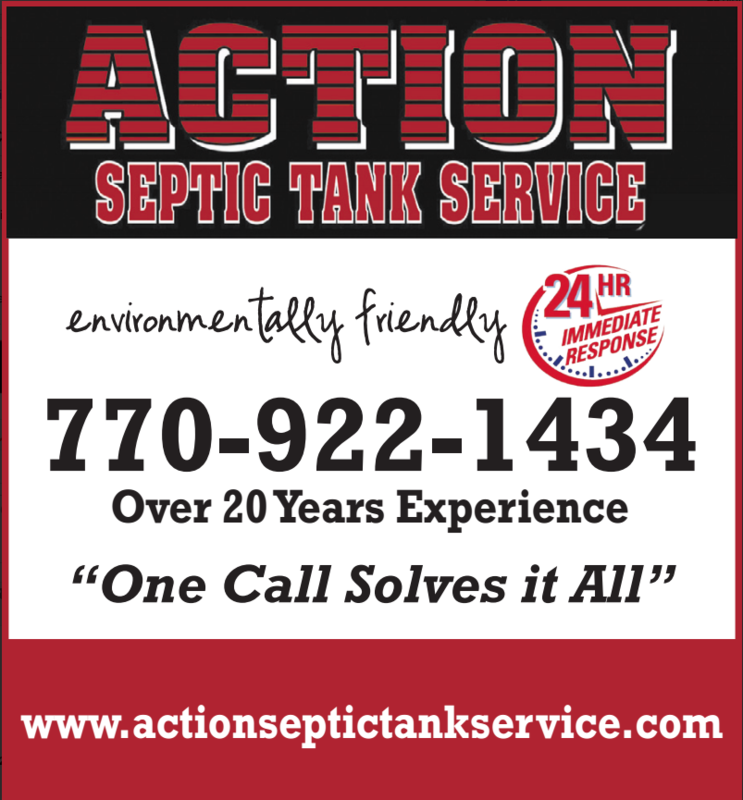 Action Septic Tank Service is located in Alpharetta-Milton, GA, in North Fulton County. We provide residential, commercial and industrial septic and sewer service for North Atlanta, Metro Atlanta and surrounding areas. We are open daily from 7:00 AM-10:00 PM and also provide emergency service.